Joachim (Joe) Eberhardt joined New York University Leonard N. Stern School of Business as an Adjunct Associate Professor in 2011. He teaches brand strategy to graduate students. Professor Eberhardt is currently the owner and president of Oxnard European Motors LLC (a Mercedes-Benz and smart dealership), the CEO of LiveTechnology Holdings, a senior advisor to the Boston Consulting Group and an advisor and consultant to a number of companies in Europe and the U.S. 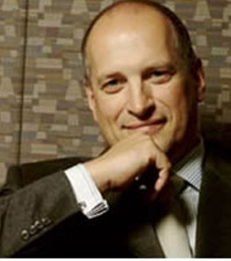 He is the former SVP and global CMO of LexisNexis (a division of Reed Elsivier PLC). Prior to joining LexisNexis, he enjoyed a more than 25-year automotive career, culminating as executive vice president of global sales, marketing and service for Chrysler. From November 1999 to June 2003, he was president and CEO of DaimlerChrysler UK Limited. Professor Eberhardt is a non-executive director of Yell Plc. During his automotive career, he was named to the Power List by Motor Trend in 2006 and ranked third and fourth most influential person in advertising in 2004 and 2005 by Ad Age. While heading Mercedes-Benz sales, marketing and service in the U.S., he was elected to the "Automotive News All Star Team" in 1998 and 1999. Professor Eberhardt holds a Dipl.-Betriebswirt from the Academy for Administration and Economics in Stuttgart, Germany and an M.B.A. from NYU Stern.